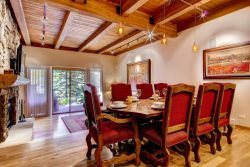 Ridge #9 - A luxurious Snowmass vacation condo. A premier Snowmass Village location. Ridge #1 - A premier Snowmass Village location. Ridge #8 - A luxurious Snowmass vacation condo. A premier Snowmass Village location. Ridge #7 - A luxurious Snowmass vacation condo and a premier Snowmass Village location.